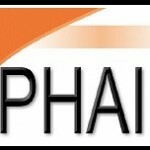 PHAI documented the Worth County, Iowa Board of Supervisors’ 2001 passage of an ordinance establishing local regulation of air and water emissions as well as worker health protections for concentrated animal feeding operations (“CAFOs). The ordinance was the culmination of almost two years of community organizing and public hearings around the issue. A group of local hog producers and the Iowa Farm Bureau sued the county seeking to invalidate the ordinance. The Iowa Supreme Court struck down the ordinance, ruling that county governments are preempted by Iowa state law from regulating CAFOs. While ultimately unsuccessful in court, Worth County’s attempt to regulate CAFOs was part of a lively public discourse throughout Iowa about the state of local control over CAFOs. The ordinance made clear to Worth County pork producers the community’s health standards. The controversy also created opportunities to educate the public about the health effects of mismanaged CAFOs. Worth County residents are now well-informed and well-organized around the environmental health issues associated with mismanaged CAFOs.